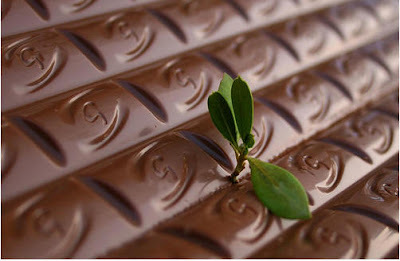 Soon will comes the Valentine's day to send gift chocolate to your loved ones. No one could resist the flavor, the smell of it. When you feel like you're hung over,But you didn't drink last night,And your eyes are like a road map,And your underwear feels tight;Gravity seems to multiply,And your organs are on strike,You're in sudden-death overtime,And the wheels are off your bike. You need some chocolate,Soft creamy chocolate,Some chocolate ice cream,And chocolate mousse... mousse... mousse...Some chocolate cheesecake,Bavarian chocolate,Bring on the chocolate,We need a boost!We need a boost! Now, they say it gives us pimples, it's addictive and it stains,It makes us fat and hyper, and clogs up all our veins;It puts migraines in our noggins, and it's worse than cigarettes,But all those things are easier than having a chocolate fit.Now there's lots of medical evidence to support our point of view,It's not all psychological, good news for me and you;It affects our seratonin, which reduces aches and pains,And does all kinds of cool things to the chemistry of our brains.